The Congress Secretariat (International Conference Services) is the official housing bureau for the 9th World Environmental Education Congress (WEEC 2017) and will offer assistance with the coordination of housing requirements for the Congress. Special room rates have been negotiated and is now available to Congress delegates only. Accommodation bookings for the 9th World Environmental Education Congress (WEEC 2017) can be made during the time of registration. 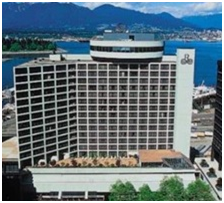 Ranked Top 10 with TripAdvisor, this contemporary hotel is located in downtown Vancouver’s Coal Harbour District and offers views of the North Shore Mountains. The popular shops on Robson Street are within a 10-minute walk of the Coast Coal Harbour Hotel and the Vancouver Convention Center is 5 minutes away on foot. 100% non smoking hotel. 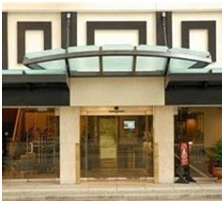 The Days Inn Vancouver Downtown is a full service hotel conveniently located in the heart of the city’s financial district. You will have immediate access to many of the City’s hot spots and tourist sites. 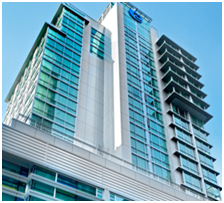 Only minutes from the Vancouver Convention Centre, the luxury shopping of Robson Street and Chinatown. 100% non-smoking hotel. Setting the standard for Vancouver luxury hotels downtown, Pinnacle Vancouver Harbourfront Hotel has been uniquely transformed, offering stylish guest rooms reflective of the city’s spirit. Residing on the waterfront, the Renaissance is only minutes away from the Vancouver Convention Centre, historic Gastown and Stanley Park. 100% non smoking hotel. If you have any questions, please contact the Congress Secretariat at WEEC2017-Registration at icsevents.com.